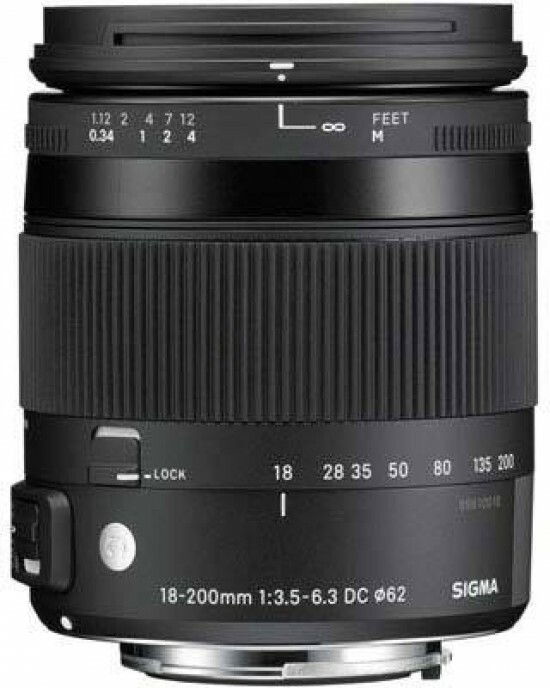 Reviews of the Sigma 18-200mm f/3.5-6.3 DC Macro OS HSM from around the web. The perfect lens does not exist. There is no lens that covers an extreme range of focal lengths, has an ultra-wide aperture, has incredible build quality but remains small and light, has amazing image quality at all available settings – and is inexpensive. Even though this lens does not have the longest available focal length range, it is still a superzoom lens with a very attractive do-it-all potential. It is also small, light and priced right. With that quantity of ultimate lens qualities found in the Sigma 18-200mm f/3.5-6.3 DC OS HSM C Lens, I approached this review with a healthy dose of skepticism. With the advances the world has seen in manufacturing technology and the quality Sigma has been delivering in their Global Vision lenses, I was optimistically skeptical. Over the last year or so, Sigma have gradually been updating their lenses to fit into their 'Art', 'Sport' and 'Contemporary' lens lines. The 18-200mm range is popular amongst those who own a camera with an APS-C sensor and wish to travel light, with the convenience of a large 11.1x zoom range. This updated version includes optical stabilisation and fits into Sigma's 'Contemporary' line of lenses, which adds compatibility with Sigma's USB dock. This allows focusing adjustments and firmware updates to be applied to the lens by the user, rather than having to send it off to a technician. The 18–200 mm Sigma lenses follow an old tradition. It all started with a simple 18-200 mm f/3.5-6.3 DC model, without any stabilization or ultrasonic motor. In 2007 the new Sigma 18–200 mm f/3.5–6.3 DC OS was launched. Compared to its predecessor its weight and physical dimensions increased; it was also equipped with a stabilization system and it featured three additional optical elements. Four years later they showed the Sigma 18–200 mm f/3.5–6.3 II DC OS HSM – a model noticeably slimmer than the previous version even though it had an HSM motor and its element number remained unchanged. The Sigma 18-200mm F3.5-6.3 DC Macro OS HSM ($399) is, considering its zoom range, a fairly compact all-in-one lens that's available for Canon, Nikon, Pentax, Sigma, and Sony APS-C cameras. In full-frame terms, it covers a 27-300mm field of view. It can't match the optical quality of a prime lens, or Sigma's much larger and shorter 18-35mm f/1.8 zoom, but images throughout the zoom range are very useable, and sharpen up nicely when the lens is stopped down.